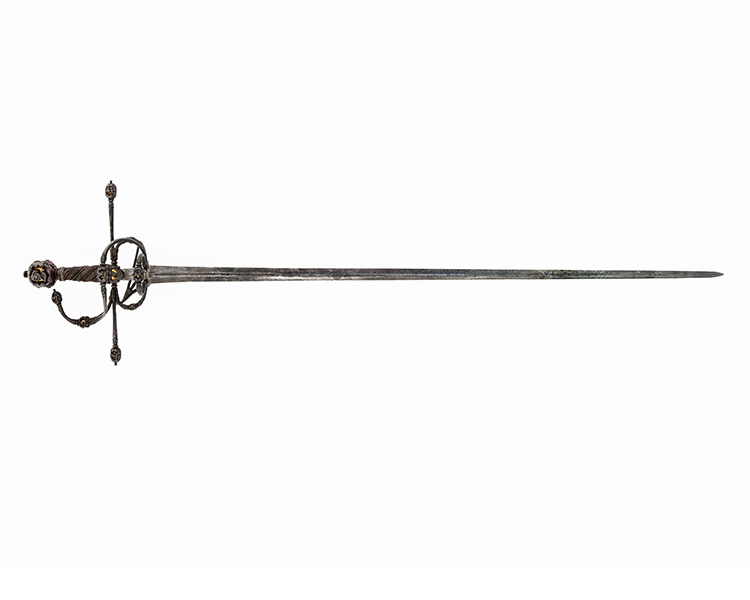 Italian Swept Hilt Rapier, last quarter 16th c.
Russet hilt, the pommel a somewhat flattened ovoid, bearing on each side a medallion, in which is chiseleda classic head in high relief. The ends of the straight quillons are similarly formed. 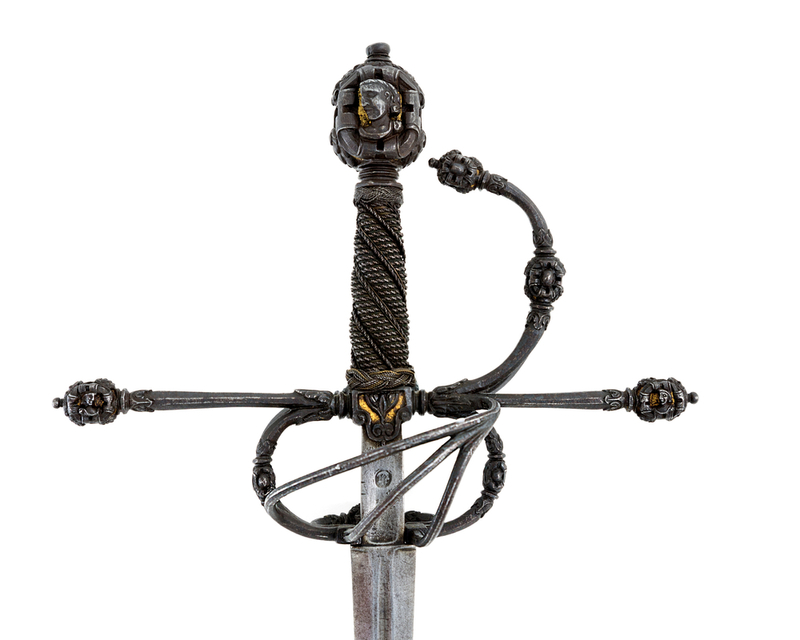 Center and ends of knuckle guard, centers of the two rings and the pas d’ane also with medallions. The heads on the medallions are relieved by a gilt background and they are perhaps intended to represent the Twelve Apostles? The blade has a narrow groove on either side in which is stamped an indecipherable name, the ricasso struck with a mark. 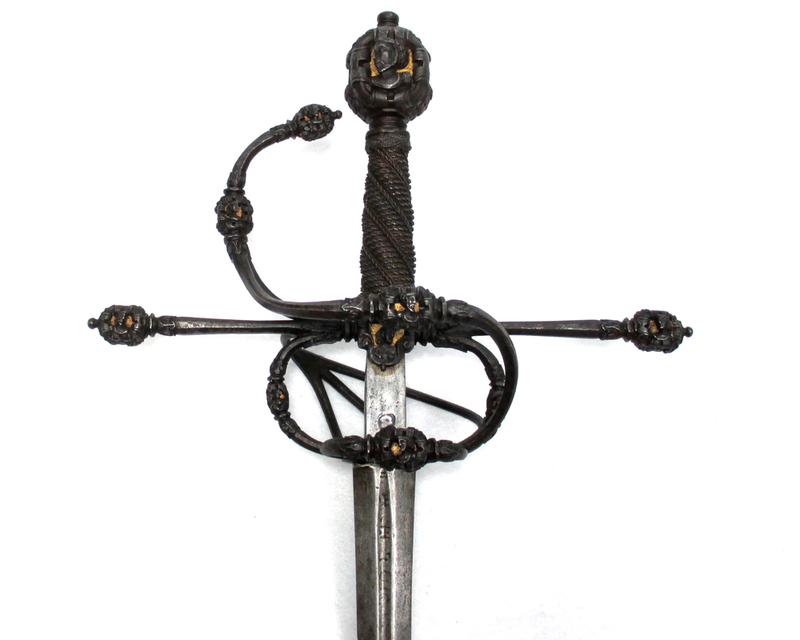 The original grip spirally fluted and bound with plated wire between Turk’s heads. Excellent condition with all original gilding. Provenance: Richards Collection, Macomber Collection, Severance Collection, Kindig Collection, American Private Collection. Literature: Catalogue of the Severance Collection of Arms and Armor in the Cleveland Museum of Art, 1924. Plate XXVIII, fig. E49.